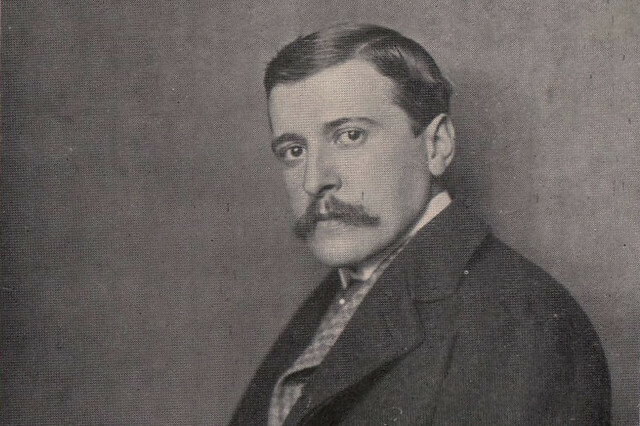 Hugo von Hofmannsthal (1874–1929) was a Vienna-born writer who became Richard Strauss’s most persistent collaborator. Their partnership spanned from Elektra (1909) to Arabella (1933). Hofmannsthal first approached Strauss in 1900 with a scenario for a ballet called Der Triumph der Zeit, but it was Strauss who instigated their working relationship proper when he asked Hofmannsthal if he could adapt the writer’s 1903 version of Sophocles’s tragedy Electra for the operatic stage. Before he met Strauss, Hofmannsthal was a major figure within Jung Wien, the group of intellectual radicals who dominated the culture of turn of the century Vienna. On the face of it, a partnership seemed unlikely - Hofmannsthal was scholarly and cerebral, while Strauss was theatrical and practically minded. It proved a winning combination and together the pair wrote Der Rosenkavalier, Ariadne auf Naxos, Die Frau ohne Schatten, Die ägyptische Helena and Arabella, as well as Hofmannsthal providing the scenario for the 1914 ballet Josephslegende and the opera Die Liebe der Danae. As you might expect from two contrasting personalities, their relationship was frequently marked by disagreement, as detailed in their extensive correspondence. The partnership had a particularly tragic end, when Hofmannsthal died of a stroke in July 1929, two days after his son Franz had committed suicide. A telegram had arrived from Strauss in the 48-hour period between the two deaths, congratulating Hofmannsthal on his superb work on Arabella. But he neither read the missive nor saw the result of that hard work and Strauss, learning of his friend’s death, was plunged into a deep depression, which prevented him from attending the funeral. ‘No musician ever found such a helper and supporter’, Strauss wrote. ‘No one will ever replace him for me or the world of music!’. 2014 sees the 150th anniversary of Richard Strauss’s birth. The composer is celebrated at the ROH with stagings of Die Frau ohne Schatten (until 2 April) and Ariadne auf Naxos (25 June-13 July). Tickets for both are still available.